A provocative look at the world of horse racing - the owners, gamblers, jockeys and diverse gaming industry players. Released from prison after three years, "Ace" Bernstein plots revenge against the colleagues who betrayed him. Ace meets with his parole officer and starts to line up potential investors as a public face for his next big venture. 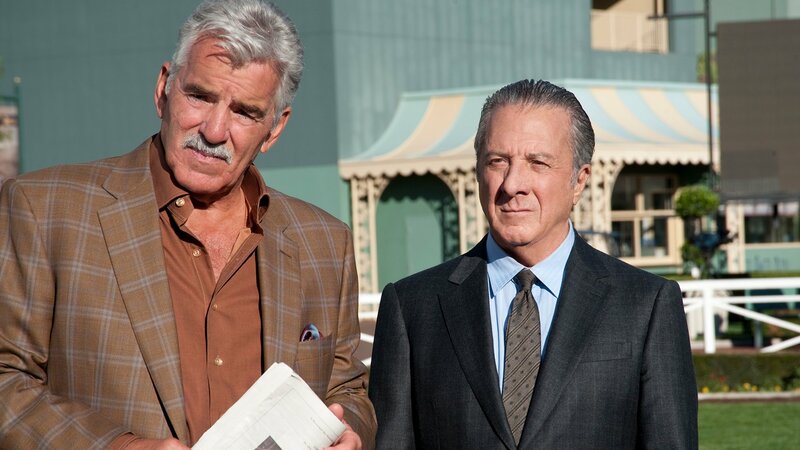 Jerry pursues a deal to buy the horse that Renzo lost to Mulligan while also talking to Escalante about training it. Ace meets with Claire about a charitable endeavor for prisoners, and discusses his new venture with an old partner. Ace takes the reins when Escalante surprises Gus with his decision to race Pint of Plain with an inexperienced jockey in the horse's debut. Ace meets with a track owner and his parole officer, but sends Nathan to discuss business with fellow investors. Ace has a relaxing visit to the prison-outreach retirement farm for horses. Ace reacts decisively to a new wrinkle in the racetrack deal, but it's probably not a move that Smythe will take lying down. Gus does everything in his power to protect Ace, and later they watch as their star mount races against Walter's prized horse.